By 15th November, the state government is going to commission alert siren systems at 122 locations under the Early Warning Dissemination System (EWDS) project. With this, Odisha will be the first state in the country to have such early-warning system for disasters. 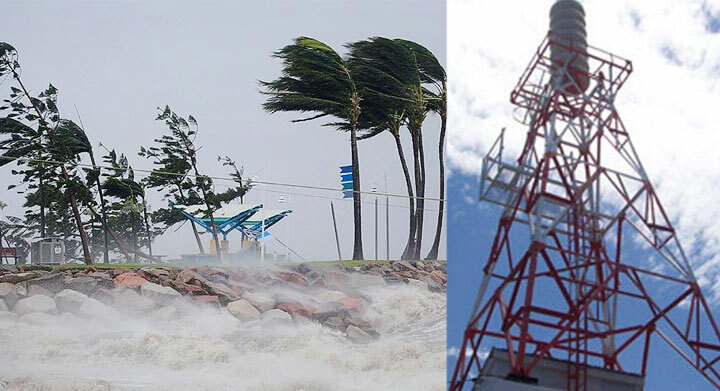 P K Mohapatra, managing director of Odisha State Disaster Management Authority said, "The towers have been installed to give prior warning to people before any cyclone or tsunami." The siren would be spread (within 1.5 km off the coast) in 29 blocks in six coastal districts as a result people staying within the radius of 2.5 km can hear the siren and get prepared. Claiming Odisha to have become a model in the country in disaster preparedness and risk mitigation, the state chief minister, while attending a function organized in Bhubaneswar on the occasion of National Day for Disaster Reduction on Sunday, said, "So far, we have constructed 879 multi-purpose cyclone and flood shelters, 17,000 disaster-resilience houses for Phailin-hit people in Ganjam and Khurda districts, 571 houses at Bagpatia for sea-erosion affected people of Satabhaya in Kendrapada district, five special godowns and 12 saline embankments in disaster-prone areas."